I have survived this crazy week! The hard part is almost over and the fun is almost here. I took the day off work (something I recommend for all competitors), which is always a nice treat. Tomorrow morning is pancakes with maple syrup and butter. And all day Saturday is mostly food I like! Yep, the hard part is almost over for this foodie!! But before all that fun, food-related stuff starts, there’s one more day to go. 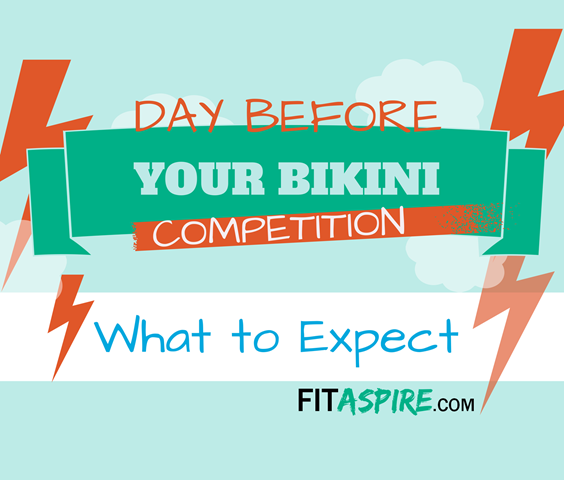 Ever wondered what goes on in this day – either out of curiosity or as you’re planning your first competition? Today I’m giving you a peak into just that! I’ve already talked about the strict diet this week, but today is a little strange. For me, I don’t know what I’ll be eating today until after I wake up. I immediately take a progress photo and send it with my weight to my trainer. My nutrition for most of the day is determined based on how things are looking, but it’s usually still a bit boring until dinner. That’s when I get to eat a YUMMY meal I’ve been looking forward to all week – a Salmon Sandwich with butter on white bread! Other girls in my group will eat a juicy burger, but I did so well with salmon last year, we’re sticking with that!Those fats and carbs help to plump things up in the right places in preparation for tomorrow’s show. It’s a nice break and feels decadent after a week of boring food. Many people will get a manicure today, although I choose to go the fake nails route. It started last year, because I’m cheap and these were less expensive, but I am getting them again because they are so durable (no chipping) and they look good. I got a few boxes of these Kiss Nails online at Amazon, but I found them last year at Target. They are pretty easy to apply and I love the way they look. If you choose to go the manicure/pedicure route, I would get an appointment booked ahead of time so there are no surprises! 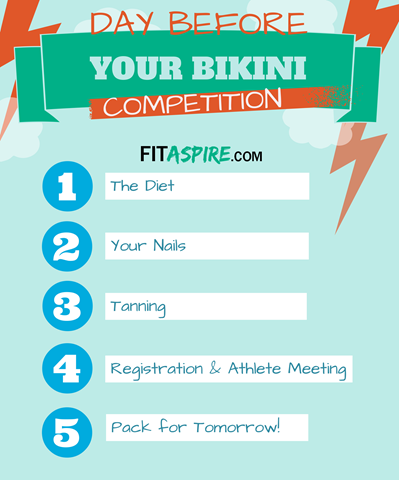 The infamous competition tan – you’ve probably heard about this before! There are a range of tan colors that I have seen, but last year I felt pretty lucky with the less obnoxious coloring we got at The Rocky – and it washed off easily. I heard that this year’s tan should be similar, as WBFF is trying to move away from that orange glow that many competitions are famous for. We’ll see in a few hours! You actually start prepping for the tan a week out, by doing a full-body shave. That includes arms, legs, back – all the peach fuzz you can find. I tried my first (ever!) Brazilian wax a few weeks ago, although next time I would do it a few days before the show (I was nervous my skin might have an adverse reaction – which it didn’t). Last night, I did a final clean-up shave to make sure I was nice a smooth. I also spend extra time exfoliating, to make sure my skin will absorb the tan evenly. The weird part of tanning day is that you can’t wear deodorant after you shower, as it can react with the tan and leave strange colors behind (I think Laura ended up with green pits when she forgot). I’m not sure if that’s still true with my natural deodorant, but I don’t want to risk it. The one unmovable item on the day’s agenda is registration and the athlete meeting. This was a disaster for me last year, as we were on our feet for hours when things ran WAY behind at The Rocky. I have heard WBFF registration is completely different, so I’m excited to experience it for myself. We are actually asked to dress up for the evening – “dress to impress” – as they make an event out of it. If you didn’t pre-purchase the license for your federation, you’ll want to be prepared to buy that the registration. Many of the events only accept cash payment, so be prepared! Double-check the time of all your appointments in the morning, as well, so you have plenty of time in the morning. I think that’s it! Other than these items, today should really be relaxing, low-stress, and staying off your feet. Kind of like a taper for a running race, you want to save your legs for tomorrow! How are you doing on the #MoveHappy challenge this week? Still plenty of time to join and be eligible to win prizes from Vega and Quest Nutrition! 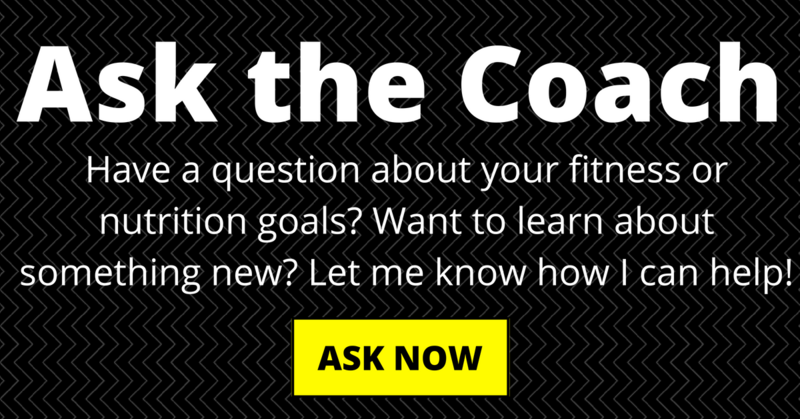 Get all the details and log your workouts on this week’s official post! What is the next big event you are looking forward to? Any other burning competition questions?